We proudly welcome for your consideration this stunning antique French mirror. 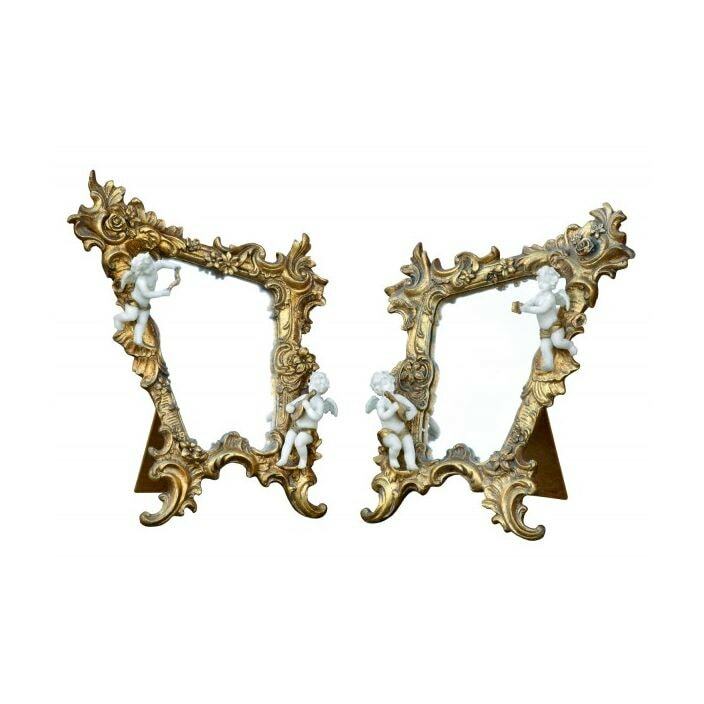 Its fine ornate detailing featuring two cherubs will be sure to add much beauty and style in your wonderful home. Handcrafted by experts using only the finest of materials, this gold leaf table mirror works exceptional co-ordinated alongside our marvelous furniture ranges or simply as a statement piece on its own.